A new roof is a major improvement and investment. A poorly done job only means more costs, added stress and lost time. Thus, it pays to ask the right questions when you are hiring a roofing contractor. Ask your roofer the following to help you determine the experience, reliability and reputation of the contractor. Preliminary to asking this question is asking for the full company name and address. 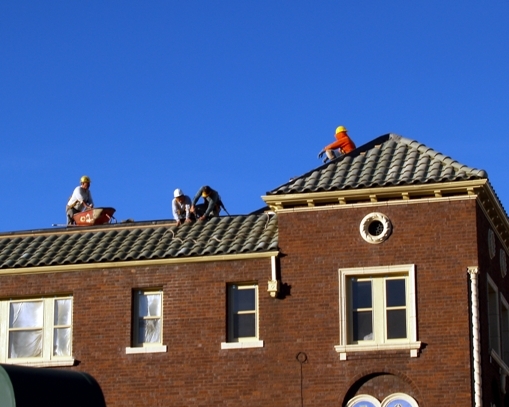 A roofing company without a physical location is a cause of concern. Hire a contractor with a nearby office since the likelihood of quicker response and better service is greater if the roofer is located near you. When you already know these details, follow up your question with the roofer’s years of experience in the business. Longevity is a good indicator of good service quality. On the other hand, just because a contractor is new does not mean that you are dealing with a substandard company. For new players, you may ask for references from the contractor. Many states, though not all, require roofing contractors to be licensed. Also, the requirements for each state may be different. As a homeowner, you should first research the code requirements where you live. If roofers are required to be licensed in your state, hire only those who are licensed. Make sure also that the roofer’s license is up to date. In addition, take note that business license is different from the contractor’s license. The former is only a tax requirement and is not directly relevant to the competence of the contractor. ● Does your company carry insurance? It is required for the contractor to carry comprehensive liability insurance and worker’s compensation insurance. You can verify this from the contractor by asking for his current certificates of insurance. Insurance is important in case accidents happen while your roof is under construction. Contractors who carry insurance are expected to follow safety guidelines, thus they usually have higher overhead costs. On the other hand, those who do not carry insurance are most likely cheaper to hire, since they won’t have to pay for insurance premiums. ● Do you provide referrals or references from previous jobs? Most contractors offer a list of customers who were satisfied with their work. What you can do is to ask for local job sites where they had worked, probably the last three clients, so you can visit the site and check the previous roofing work. Talking to recent clients is important in order for you to know if they had good experience with the roofing contractor. These are just a few questions to ask your roofer when you are in need of roofing services. Take note of these and be sure to ask the roofer before hiring. A professional and topnotch roofing contractor will be happy to answer these questions.